It’s also a protectionist sentiment that’s drawn from the party’s paranoid past, as I’ve explored in my new book on Anglo-American trade. Trump considers the TPP “a horrible deal … designed for China to come in, as they always do, through the back door and totally take advantage of everyone.” He thus conspiratorially sees a China-backed plot hidden behind the TPP, despite the fact that China is not actually involved in the TPP – nor is there really any back door. Trump similarly considers NAFTA “a disaster,” and claims that he would either renegotiate it or “break it. Because, you know, every agreement has an end.” He proposes to replace NAFTA with a protective tariff directed against Mexican exports, a policy that would very likely result in a tariff war with the US’ third-largest trading partner. Trump’s condemnation of free-trade initiatives and his conspiracy theories regarding Chinese-American trade are being treated as unorthodox. But they shouldn’t be. Granted, at first glance his protectionist position appears at odds with the Republican Party’s current association with trade liberalization initiatives like the WTO, NAFTA and the TPP. But connecting free trade with the Republican Party is, to put it mildly, very misleading. It is also a very recent phenomenon. As my research on the history of US trade shows, the longer story of the Republican Party’s economic ideology illuminates how Trump’s protectionism and free trade conspiracy theories actually are quite in keeping with that of the GOP majority throughout most of its century-and-a-half lifespan. It is well-known that the Republican Party was the party of antislaverywhen it was founded in the mid-19th century. Less well-known is that the fledgling party also wedded itself politically and ideologically to protectionism, dedicating itself early on to insulating American infant industries from the full force of global market competition, particularly from the more industrially advanced British. With the end of the U.S. Civil War in 1865 and black emancipation, the Republican Party’s antislavery impulse waned. As a result, the party turned ever more to its ideological dedication to economic nationalism, advocating for greater American protectionism even as it turned awayfrom defending the civil rights of African Americans. The Republican Party dominated the executive branch for nearly 75 years – from the 1860s to the early 1930s. Across this period they established and expanded their economic nationalist vision for the United States, implementing highly protectionist legislation in 1861, 1883, 1890, 1897, 1909, 1922 and 1930. 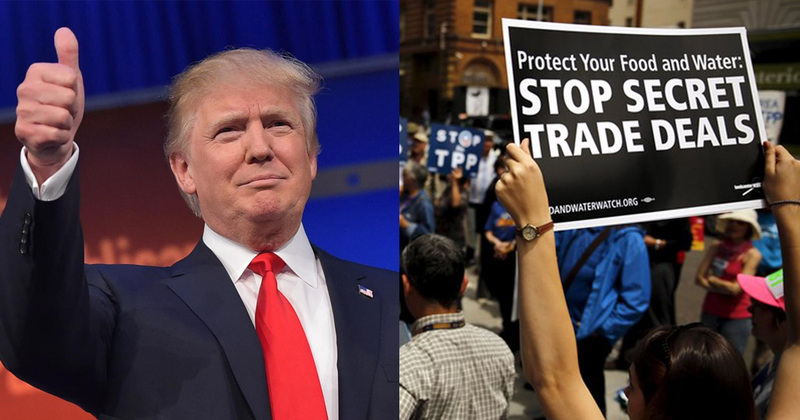 During these decades and beyond, the Republican Party time and again stood in opposition to U.S. trade liberalization. 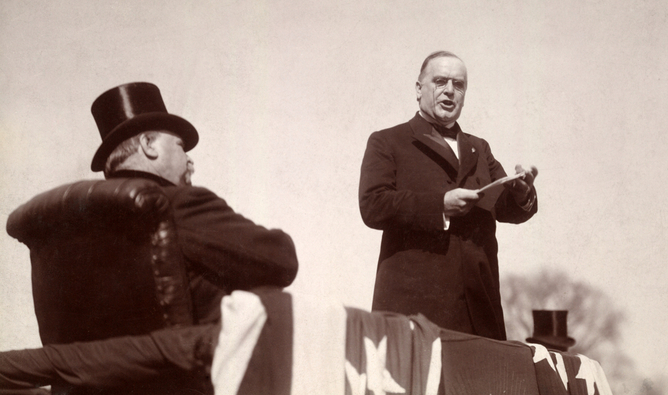 The Republican Party’s main spokesman on tariff issues by the turn of the century was a short, middle-aged politician from Ohio named William McKinley, who had well-earned his nickname “the Napoleon of Protection” by the time he was elected president in 1896. For him, protectionism was akin to a religion. Like Trump, McKinley took a conspiratorial view of free trade, although, in contrast to Trump’s China, McKinley’s prime suspect was Britain, seeing Adam Smith’s invisible hand hidden behind any attempt to liberalize American trade. McKinley’s hostility toward free trade was the Republican rule, not the exception. How quickly Americans have forgotten that for most of its long history the GOP has sought to build American protective tariff walls ever higher – higher even than Trump’s envisaged wall separating the United States from Mexico. Historically, GOP support for free trade since the Reagan era is the anomaly – a stance that in the past decade has become ever more unpopular among the party’s supporters. Internal fissures continue to develop, as more and more Republicans oppose free trade initiatives. In other words, Trump’s protectionism is no radical departure from the party line. Indeed, it is very Republican. For the record, I am a Bernie Sanders man. But I am not surprised that Trump is doing well with white working class voters too; after all, they are precisely the demographic that has suffered the most under ‘free’ trade. (The Blacks and Hispanics were already mostly poor.) If Hellary Clinton–like her husband, another right-to-work, pro-bankster DLC Democrat–wins the nomination, I might even consider voting for Trump simply for that reason. The fact that he gets a few details wrong (I know that China’s not in TPP), should not obscure the fact that he gets substance right. ‘Free’ trade kills jobs and undermines labor. Thank you for your comment. Your points about whether or not these so-called free trade agreements are in fact free and the merits (or lack thereof) of free trade are important ones worthy of their own editorials. The point of this piece, however, is not to defend free trade but to remind people that the Republican party was the party of protectionism throughout most of its history. This is something that has been nearly forgotten. To your other point, the Democratic party was in fact the party of free trade from its founding well into the Cold War. Granted it always had a protectionist minority (in the late 19th century this was the so-called Randall faction), but it was the Democratic party that fought for freer trade. It was the FDR and Truman administrations that passed various trade liberalization initiatives (against Republican opposition) such as the Reciprocal Trade Agreements Act in 1934 and the General Agreement on Tariffs and Trade (GATT) in 1947, the latter of which would become the WTO in 1994-1995. Around the same time that Republican congressmen began embracing free trade (c. 1980s) the Democratic party began retreating from its longtime support for free trade. I discuss these issues in my book, if you are interested.